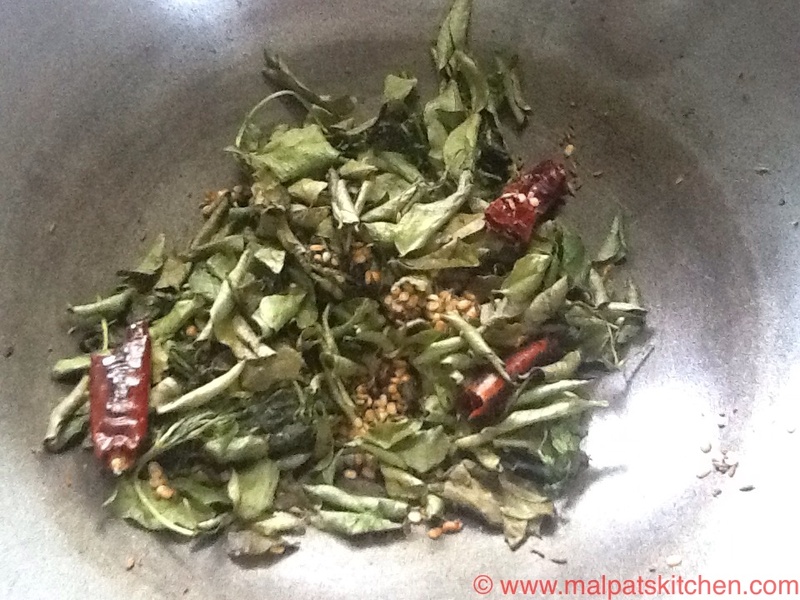 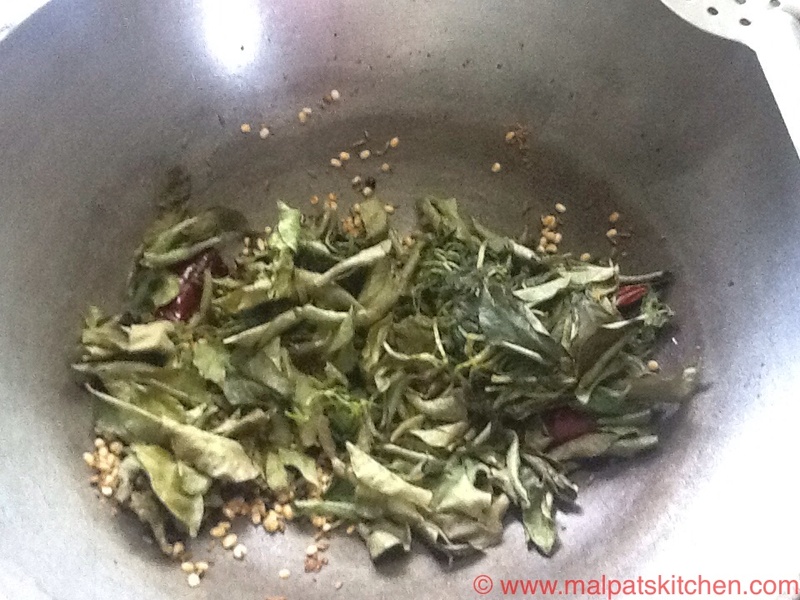 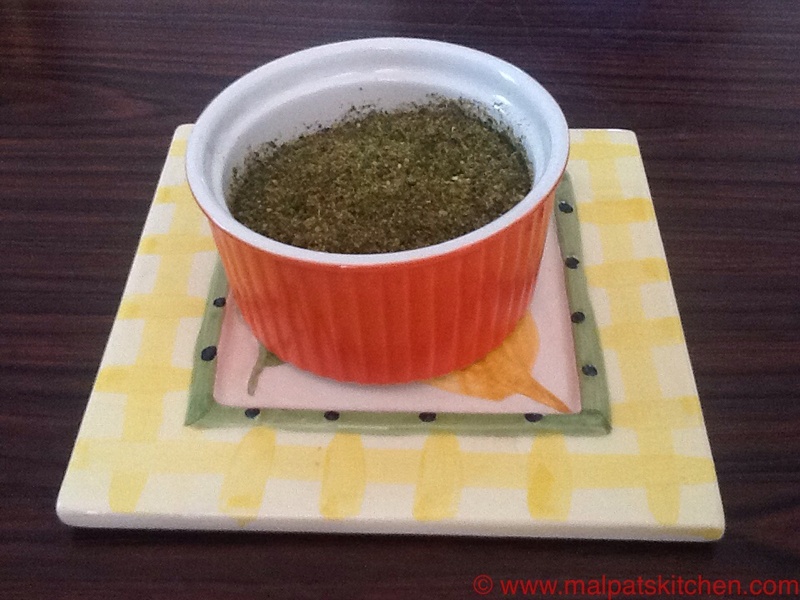 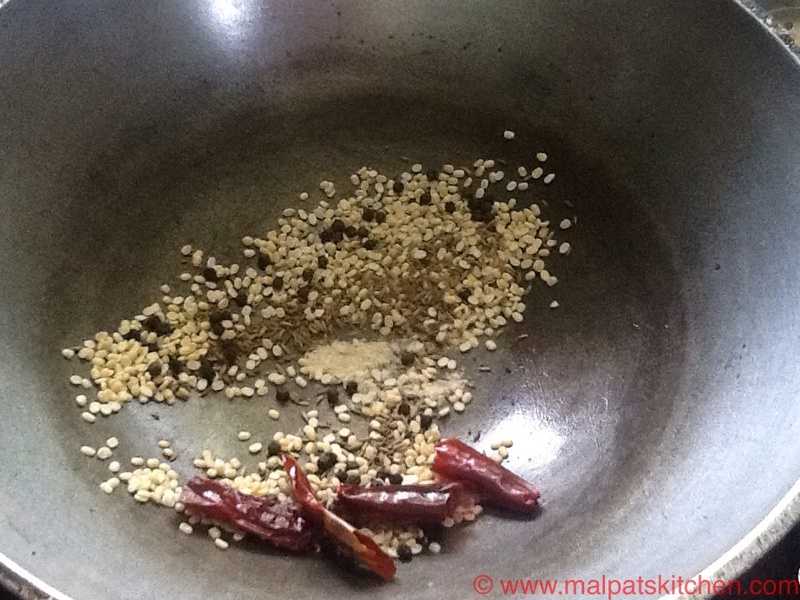 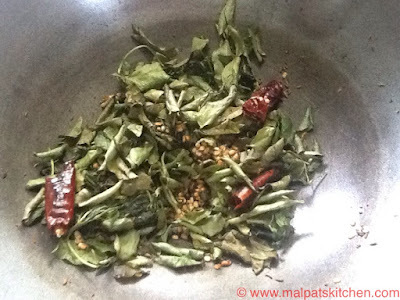 In a pan, add 1/2 tsp oil, and add all the ingredients for powdering, except the coriander and curry leaves. and roast for 2-3 minutes. allow some time to cool down, then powder in a blender, adding enough salt. 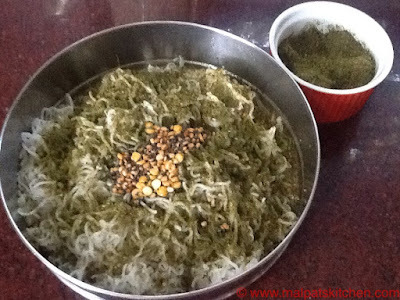 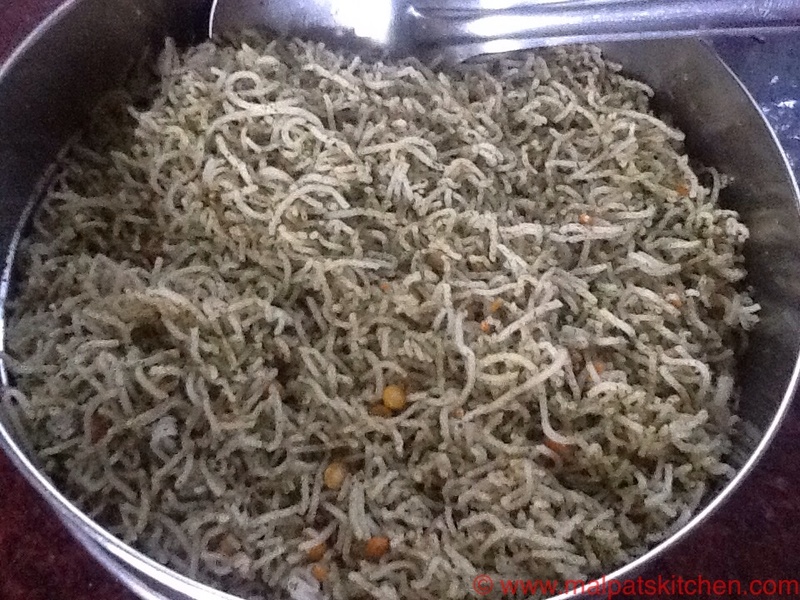 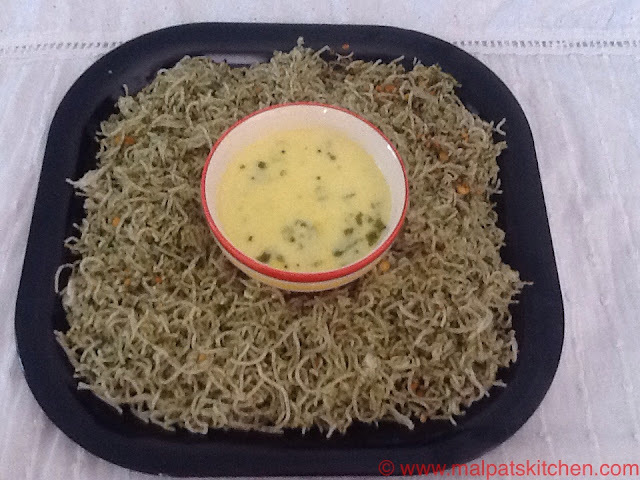 The squeezed Sevai would have cooled down by now, sprinkle this powder on Sevai, and season the ingredients mentioned above, and gently mix the Sevai, adding little bit more salt for the sevai. 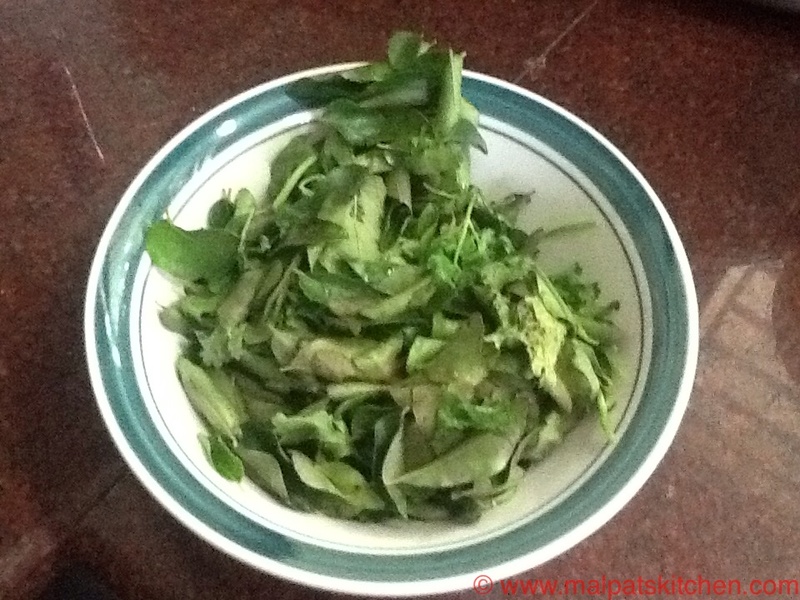 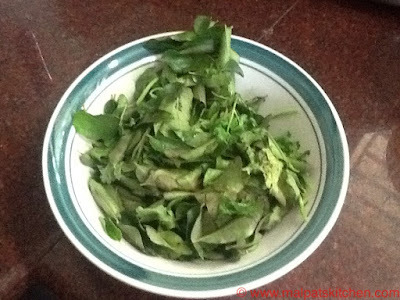 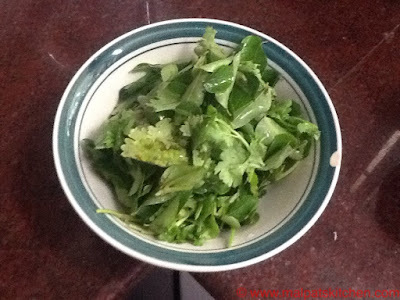 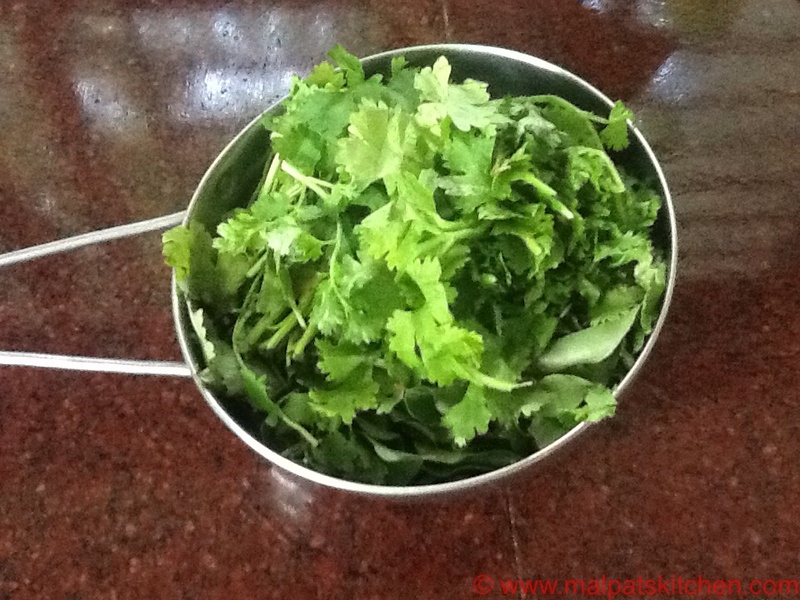 *The measurement mentioned above for Coriander-Curry leaves powder might be a little more in quantity for the sevai made from 1 cup rice. . 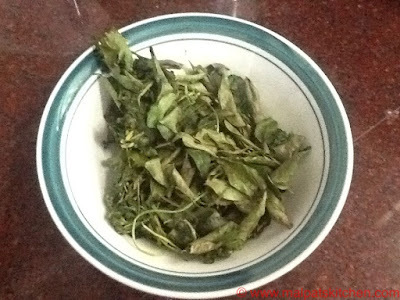 It can be refrigerated and stored for the next time use. 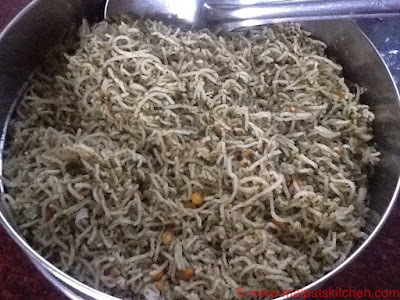 * Some like to have Sevai with coconut chutney. 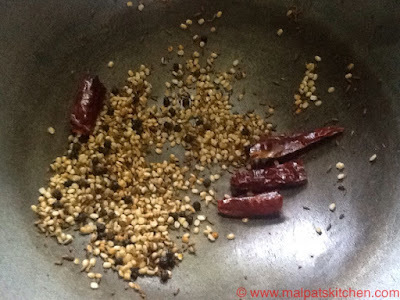 That is also a nice combination. But for people, who prefer something watery, Vedikka Vitta More kuzhambu is the best accompaniment. *same powder can be used to make Curry leaves - Coriander rice, which is again a very healthy one.